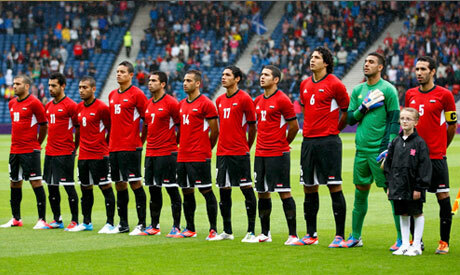 Egypt manager Bob Bradley has announced a 22-man squad for Wednesday's friendly against Chile. The Pharaohs will meet on Monday afternoon to start a training camp in Madrid where the game will be held at the Atlético stadium. Goalkeepers: Essam El-Hadary, Sherif Ekramy, Ali Lotfy. Midfielders: Ahmed Fathi, Abdallah El-Said, Hosni Abd-Rabou, Omar Gaber, Mohamed Abou-Treika, Mohamed El-Nenny. Strikers: Sayed Hamdy, Mohamed Nagy ‘Gedo’, Ahmed Hassan ‘Koka’, Ahmed Hassan Mekky, Mohamed Salah. Egypt, who lost in two successive friendlies last month against Ghana and Ivory Coast in the UAE, will host Zimbabwe in March in their third match in the World Cup qualifiers group stage.